Linda A. McAllister, 81 of Richwood, formerly of Columbus, died early Thursday morning February 7, 2019 at the Memorial Gables in Marysville. She was born October 13, 1937 at the family farm to the late Starling L. and Opal B. (Cook) Longberry. 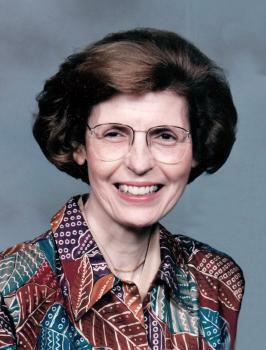 Linda was 1955 graduate of the Byhalia High School, she then had attended the Otterbein University in Westerville. Linda was a homemaker. She had worked at the Liebert Corp. in Worthington for 15 years. She had been a Sunday School teacher at the Sharon Woods Baptist Church when she was living in Columbus. She had been attending the Christian Assembly Church in Marysville. Linda will be remembered as a good wife and mom, she was a good cook, a couple of her favorites were fried chicken and cole slaw. Linda also had an affection for sheep, she had a pet lamb when she was a child. Funeral services will be held Tuesday February 12, 2019 at 11:00 am at the Stofcheck-Ballinger Funeral Home in Richwood. Officiating will be Pastor Donald Moceri and Missionary Marie Turner, burial will follow in the Byhalia Cemetery, friends may call Monday from 5-7 pm at the funeral home in Richwood. Our deepest sympathies to your family in your loss. Our thoughts and prayers are with you during this time. Linda was always such a sweet and kind lady. May God wrap His arms around you and bless you with His peace and comfort in the days ahead. So sorry for your families loss. I remember Linda would come to visit her dad and mom and come with them to church at McKendree in York Center. Very lovely lady. Prayers to her family during this time.